Once teeth emerge, you can start brushing them. Brush your child’s teeth twice a day with a child-sized toothbrush and only a smear of toothpaste (the size of a grain of rice). When two teeth begin to touch, it is time to start flossing! Whether you turn on their favorite two-minute song or have them brush their stuffed animal’s teeth first, making it fun is key to helping your child love brushing time. There are also many smartphone apps out there dedicated to making oral hygiene more fun! Check out the app store for a app that can be used on an I-Pad to help your child brush for two minutes. Plus it can make it super fun. Although getting your child to love brushing and flossing their teeth is difficult at times, remember that we are your allies in helping ensure their lifelong oral and overall health. 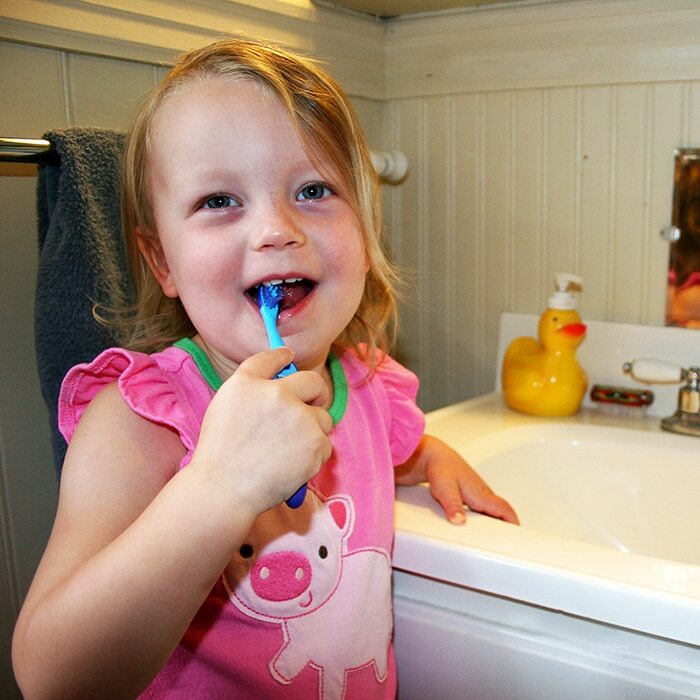 If your child is still struggling with brushing and flossing, let us know, we are here to help. Dr. Mark and Dr. Ellen can draw from almost 2 decades of experience to help you, help your child.